Technology Do You Know How Much Indoor and Outdoor Security Needed? Do You Know How Much Indoor and Outdoor Security Needed? Hello to wonderful mom and dads, are are you afraid to leave your lovely kid behind at home, when you are about to leave for shopping? Do you care too much and wondering what will your old granny do alone at home? Is your pet doing well? What about your family doing, are they safe? Who was the guest visited your home in your absence? One single solution to all these problems; that is to grab the best home security cameras and install them at your home, office, courtyard, firms, warehouse or any other place you want to make them secure and monitor it when you are away in the most the latest and innovative way. What’s the deal in my bucket? Yes come and have a peek of what I have bought for you for your peace of mind, whether you are at home or far away from home, honic home security camera is a great backup for you and your family. 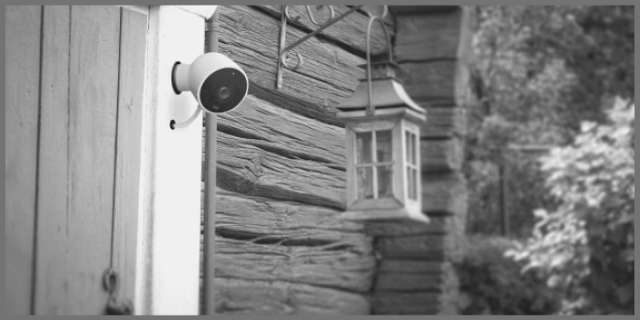 Honic home security camera is designed to perform both inside and outside of the home. In the home, you can capture all the activities along with the crystal clear sound. If you have left your kid alone at home, you can check them what's happening, have they eaten their dinner and gone to bed on time? Or is there any visitor? Or perhaps your kids' nanny has left your kids before her official time. All these could be checked and monitored by you from anywhere sitting around the globe. On the other hand, if you mount it outside your premises, you can look after your property and guard it with ease, no intruder can invade without letting you know his presence, nor an unwanted visitor can step into your property without your permission. For instance, you can make your courtyard, garage, pool corridor etc secure and sound. Honic home security camera provides you clear and perfect view with 1080p resolution. The 2MP wide-angle lens covers up every bit of the range along with 1/ 2.7 inch CMOS sensor. It has 90-degree wide angle with night vision along with high tech black film panel and IR cut filter that provides you superior quality 60ft wide range in night vision. This night vision allows you an amazing picture quality in the dark without lowering the video quality. Then there are four video output modes i.e. 960H wired BNC, 1080AHD, 2.0MP HDCVI and 2.0MP HDTVI. Since the Honic home security camera is made for outdoor surveillance as well, due to this, it is IP66 Weatherproof. Therefore, regardless of the weather condition outside, this security camera performs its highest level no matter what. It wouldn't affect the picture quality if its raining, snowfall or windy, video quality remains the same. Honic home security camera is designed in a dome style, the latest version in the dome, able to mount on the ceiling and provides the maximum range of the field. Due to which, no movement goes unnoticed. In addition, its compact design made this camera obscured from the visitors or the guest welcomed in the premises. In short, the person in the field remain oblivion that he has been watched and his every act is monitored and captured exactly the same as it is performed. It can’t be pan and tilt, due to being the stationary unit. However, it can provide you the most advanced zoom and perfect, fine quality without leaving a single spec. One more thing you need to keep in mind while installing this camera, it’s performance reduces if you mount it on the wall instead of the ceiling. Summing up, if we make cost and benefit analysis over the Honic home security camera, then we have concluded that it is an effective way of home and office security and maintain the safety of the property more than just good. Its installation is pretty easy; in the box you will get user guide manual, installation guide, drill template and screw pack. We are the top Social media marketing company in the word. Buy Instagram followers from just £0 99 Buy real instagram followers from buyinstagramfollowers22 100% real, Safe and Instant delivery.